Pretty sure I just experienced my worst moment as a mother thus far. Poor little B is in the thick of the “bad days” with RSV (days 3-5 according to our doctor). We’ve had to go in to see our doc every day since he got it to check his oxygen levels. We hadn’t planned to go in today, but last night I looked at Brady on the video monitor and saw he was sleeping in a weird position – flat on his back with his arms and legs sprawled out. Normally he sleeps in a little ball of Brady goodness. We went in two different times to check on him and his breathing was really shallow and slow. It took us a few minutes to wake him up – but we did because it was so weird. 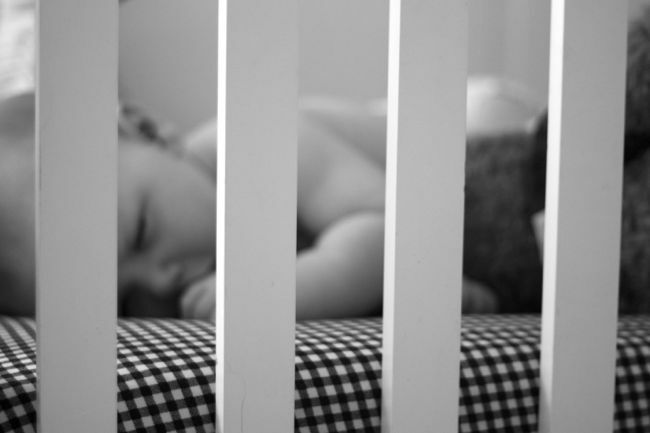 I came thisclose to sleeping in the rocking chair next to his crib to make sure he was okay. He slept from 7pm – 8:30am this morning (Good for mama who’s now caught the bug and good rest for B). When he woke up, he had a terrible coughing fit so we called our (amazing, gentle and patient) pediatrician who just so happens to live in our neighborhood and work across the street. As it turns out, little B has a secondary bacterial infection and an infection in his left ear (which would explain all the recent head shaking). Dr decided it was time for a nebulizer. The next few minutes included me being shown how to cradle little B while holding his arms and head still. They strapped the nebulizer on his face and turned it on. It was a loud machine and it blew medication gently into his nose and mouth so he could breathe it in. He stared at me with sad, teary, terrified eyes and I sang You Are My Sunshine. We both cried. Why is being a mama so dang hard? Obviously he needs this medicine, but goodness I need prayers to survive doing that to him four times a day. Prayers for him to be calm and understand that it will make him feel better and prayers that I can keep it together to show him we’re not afraid of it. Gracious. Thank goodness for this post from Lara today. Gratitude changes everything. Yes, I have a very sick little boy but I can make it better. 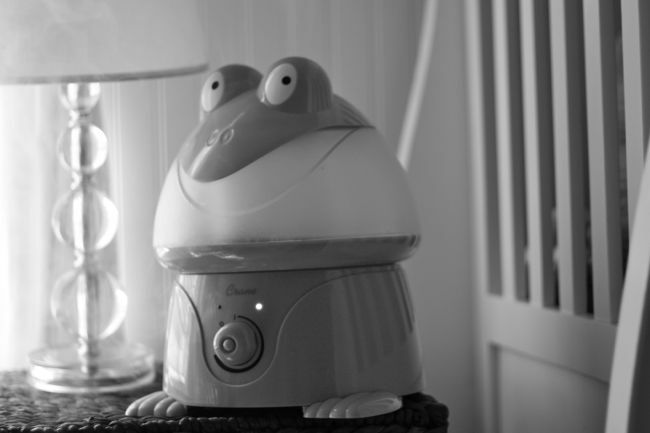 Thank goodness for our frog humidifier, our sweet doctor and our sweet friends and family who are praying you (and two of your little friends) feel better soon. Yes, I’ve caught this nasty bug and feel like I’ve been hit by a bus but he’s sleeping well, so I can get some rest too. Yes, my inbox is EXPLODING and I haven’t blogged much this week and my to-do list is NEVER ENDING but I’m able to work from home so that I can be here for him. Grateful and looking forward to sunny days ahead.